For all your professional electrical services you can count on us to do the job quickly, efficiently and at a great price. 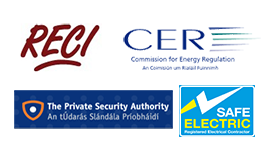 Our friendly team of fully qualified, R.E.C.I. certified D15 electricians are fully insured and all of our completed work comes with a 1 year parts and labor warranty as standard. 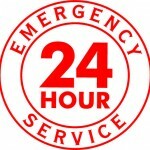 Our team of emergency electricians Dublin 15 are available 24/7-365. One of the biggest pains that people can have are unexpected electrical problems. This maybe a blown master fuse or a the lighting or heating circuit not working leaving you cold or in the dark. Whatever the issue our team of emergency electricians in D15 are always on call for these problems. Our staff live all around the county so if you do have a problem we always guarantee, traffic permitting that we can be out to you in under an hour, just call 01-6874854. Our Dublin 15 service the following areas. Clonee, Clonsilla,Castleknock, Tyrrelstown, Blanchardstown, Corduff and Mulhuddart. Please see below just a few of the standard electrical services our electricians provide. Installation and repair of standard lighting. Full home and business rewiring projects. Emergency lighting installation, testing and repair. Repair to fuse boards and new installations of fuse boards. Electrical fault locating and fixing. C.C.T.V. security and fire/burglar alarm systems. With over 30 years of successful trading behind us we take our excellent reputation seriously. Our team are reliable and will always go the extra mile for their client's full satisfaction. All work is completed to the timed schedule laid out before the work starts and we are always flexible within our projects to work around the time that suits the customer. If you require a free quote, some professional advice or have a plumbing emergency just call electricians Dublin 15 on 01-6874854.